Follow the custom build of a Featherlite Vantaré for the 2015 Sprint Cup Champion. 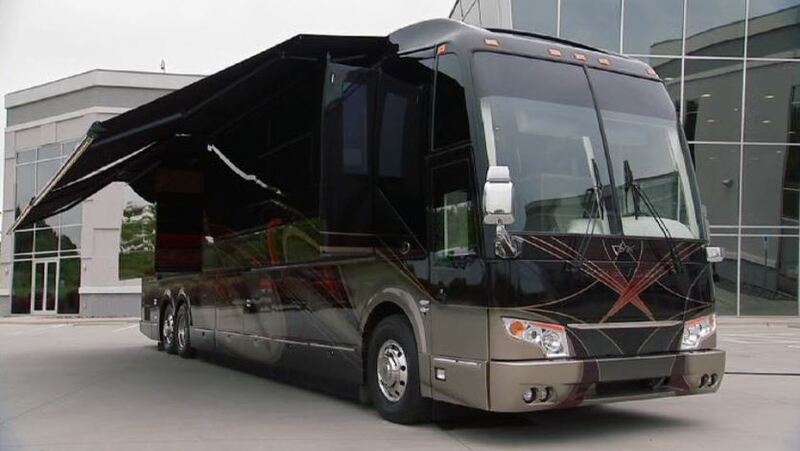 See how the craftsmen at Featherlite Coaches take a Prevost bus shell and convert it from a concept on paper to a luxury living space. 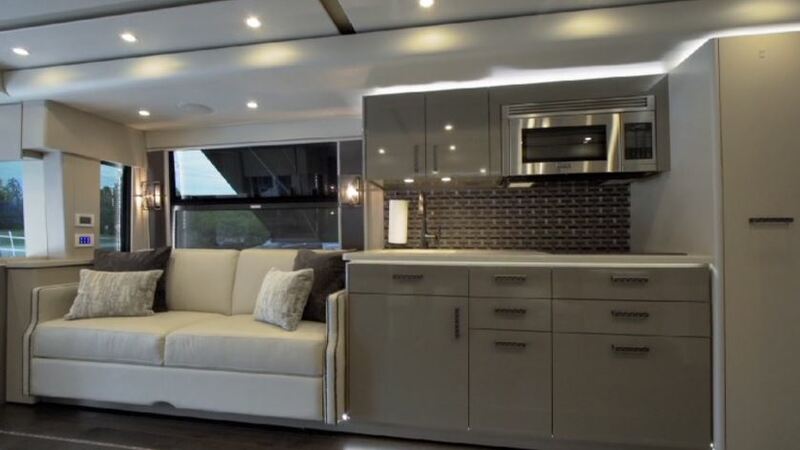 Featuring touches like a Television and Heated Mirrors Integrated In The Shower, Custom Agate Vanity Top with Sink, Convertible Nursery Alcove, Leather Mega Dresser with Crystal Pulls, Custom Recliner and Custom Heated Wood Flooring with Inlays, this dynamic coach has it all. 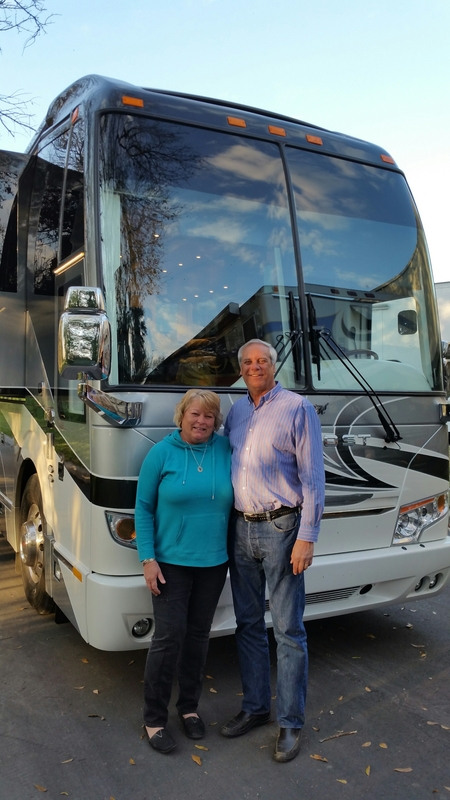 A big congratulations and thank you to Bob and Ann on their gorgeous new Featherlite Coach! 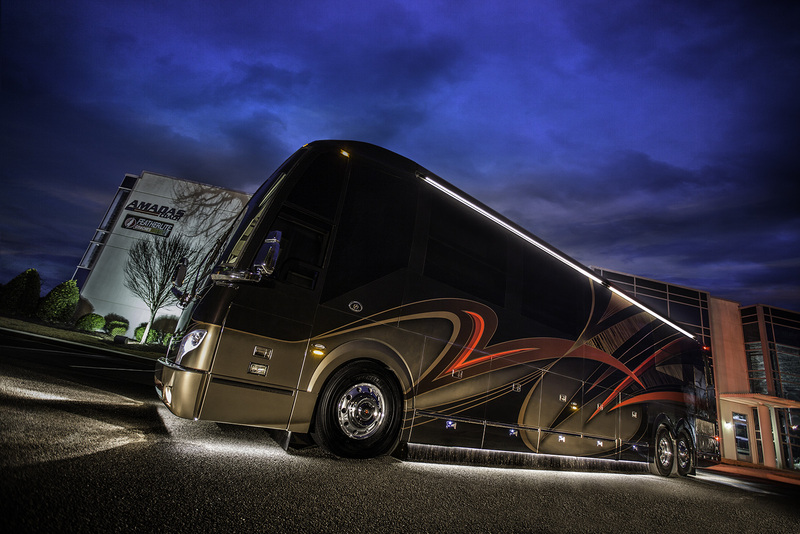 This beauty was our Tampa Show Coach and has some of the coolest new features that we're sure will add to their enjoyment! Welcome to the family, and safe travels! TV shoot in NASCAR country today - can't share details yet, but stay tuned for more info as it becomes available! 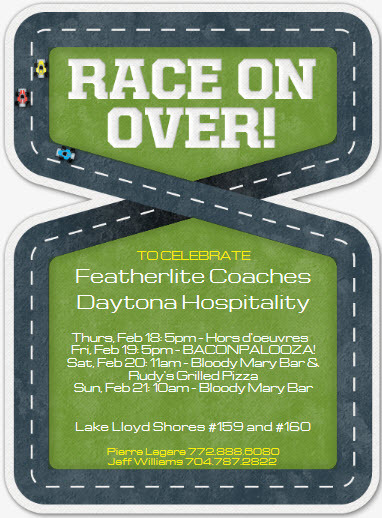 We're supporting customers at the NASCAR race this weekend, and have our executive coach demo on display in the D/O area. Come see Mike Barnard and Jimmy before it gets wet! Featherlite is in Indio at the Motorcoach Country Club this week. We have a nice 2010 Marathon EXV4S on display, a quad slide H3-45 that we recently took on trade. If you are in the desert, come by and see us and check out this nice coach, available now! We are enjoying the Prevost NASCAR Rally - what a great program and great group of Prevost owners! A BIG congratulations go out to Jeff Gordon and Hendrick Motorsports for clinching the pole position for the Daytona 500! Talk about going out on top!